Do you ever feel the need of monitoring different areas in your home or office space but cannot really manage using different laptops or smartphones for the same purpose? Do you like to multitask and have loads of work on your platter that has to be donequickly? The Monoprice desk mounts are designed to help you with just that and much more. This wall mount helps you fix up to 4 different displays to swivel with your work and keep an eye wherever you wish to. The displays need to be around 10 – 30 inches at max weighing around 22 lbs. This is a highly convenient addition to your home or workspace and improves the work ergonomic by manifolds. It enhances the space in your home or office and also prevents you from bending, looking upwards or tilting. 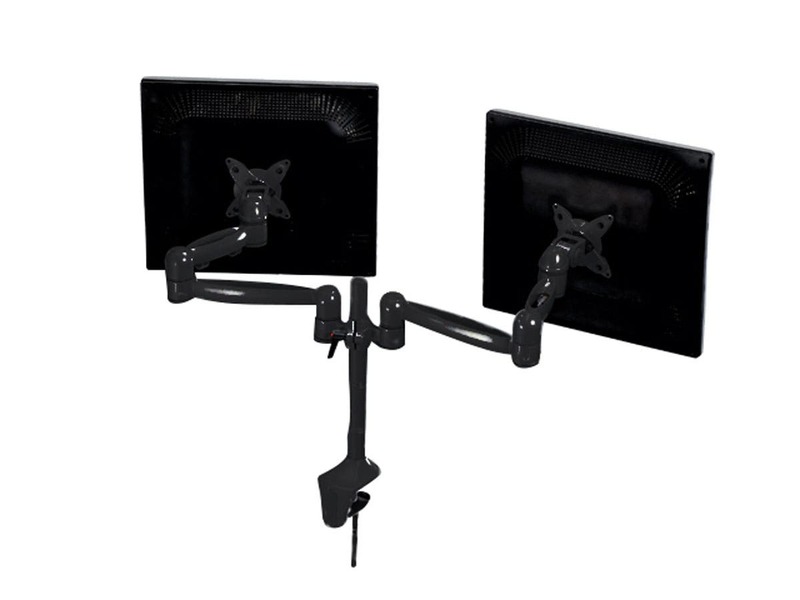 The wall mount enables you to tilt, rotate or move your displays, as per your convenience and helps you manage your work with ease. These wall mounts are available for a special price online and are available in local stores as well. They are shipped globally and also come with a supplier warranty. You can easily return this product upon dissatisfaction, within seven days if you like too. Monoprice has taken over the market by storm with its fine quality products, designed with modern day technology that helps it make the cut and establish a huge fan base for itself. Prior user response has confirmed these wall mounts are safe and efficient to use and are a must-have for most office spaces. Why should you choose the Monoprice desk mounts? Swapping between landscape and portrait mode can now be done in a flash. The wall mounts offered by Monoprice lets you play with your displays and turn them to the side or angle that suits your eye. It also comes with a rapid release lever that lets you push the display up or down and prevents you from doing any bending tasks. You can sit or stand and manage your displays with the push of a lever or display. These do not require any strenuous installation processes and the aluminum and steel construction promises to give you a sturdy balance of all your displays. Make a difference to your workstation today with these innovative and user-friendly wall mounts, today. Previous: Why should you use Learndash plugin for your eLearning platform?